The Future Institute Research Center, a branch of Future Institute and Concept Schools, plans and conducts rigorous research, disseminates the findings leading to data driven decision making and supports graduate student research. Research is conducted by a national team of highly qualified research fellows focused on transition, college and career success. – Hold ourselves to high standards of ethics and integrity. Please click the buttons below to view the full lists of the Future Institute Research Center Research Fellows and Associate Research Fellows. The Future Institute Research Center supports graduate student research through awarding annual scholarships. All applicants should be doctoral students whose research topic aligns with the Center’s focus: post-secondary transition, college and career success. If awarded the Future Institute Research Center Scholarship, you would receive the status of Associate Research Fellow and provide the Center with bi-annual updates of your progress. This year, 2018-2019, the Center will award five $1,000 scholarships to be used for research related materials and if applicable, a conference presentation upon completion of the study. All scholarship applications should be sent to karatas@futureinstitute.us. We look forward to receiving your scholarship application! The Future Insight podcast is hosted by Dr. D. Antonio Cantu. 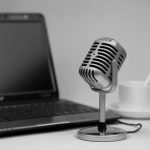 This podcast program explores education trends, workforce demands, and best practices. Future Insight series features conversations with education experts from around the United States and world. The Future Review: International Journal of Transition, College and Career Success is edited by Dr. John Klatt. The purpose of this journal is to disseminate knowledge and novel ideas related to post-secondary transition, college and career success. The journal welcomes scholarly manuscripts from a variety of theoretical perspectives and empirical approaches. 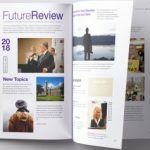 Follow us on social media with #FutureReview! We’re excited to announce the World Future Forum, our upcoming conference on post-secondary transition, college and career readiness!